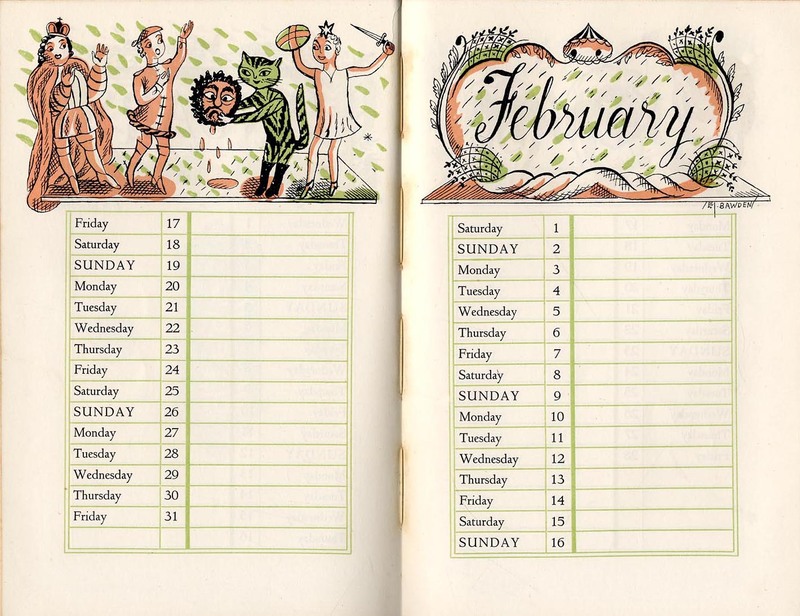 If only there was an app for a calendar as nice as this. 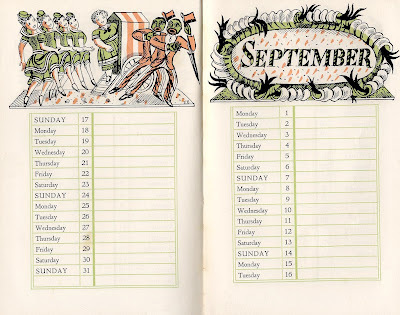 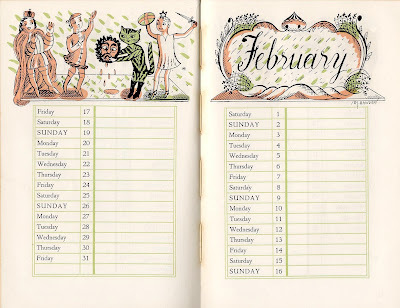 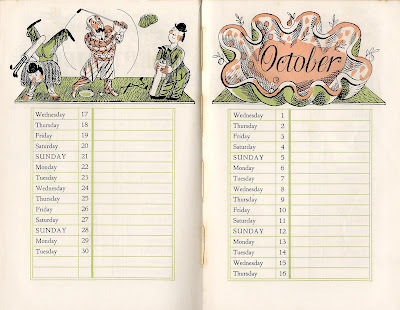 It was designed by British artist Edward Bawden (1903-1989), one of the great painters, illustrators and lettering artists of the 20th century. 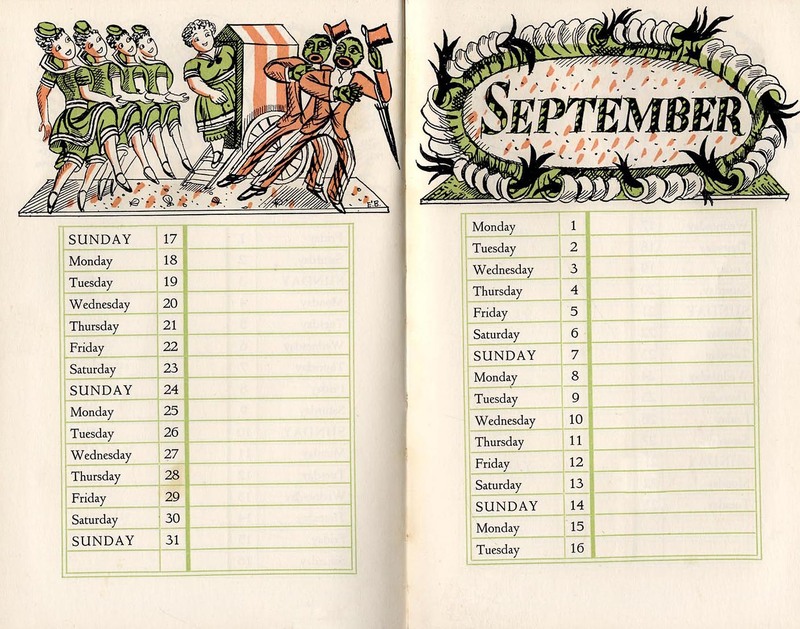 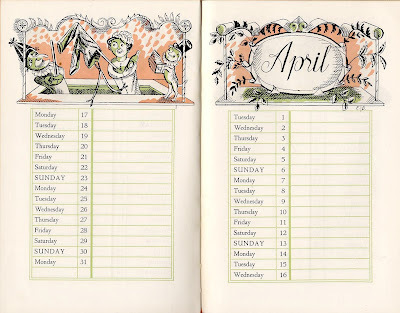 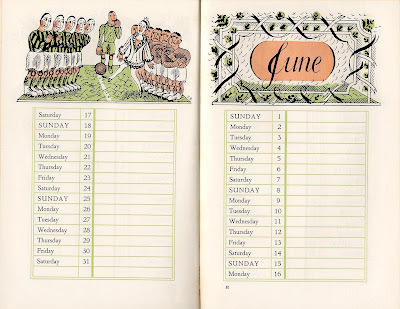 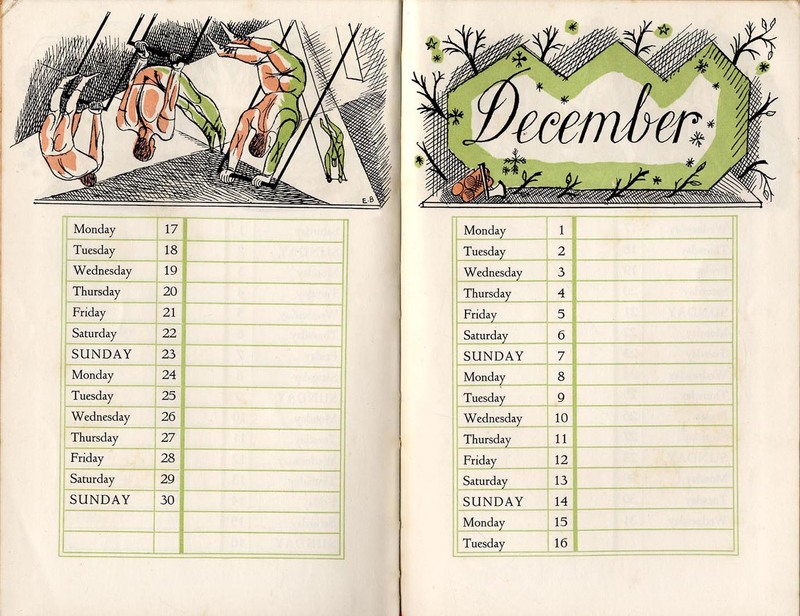 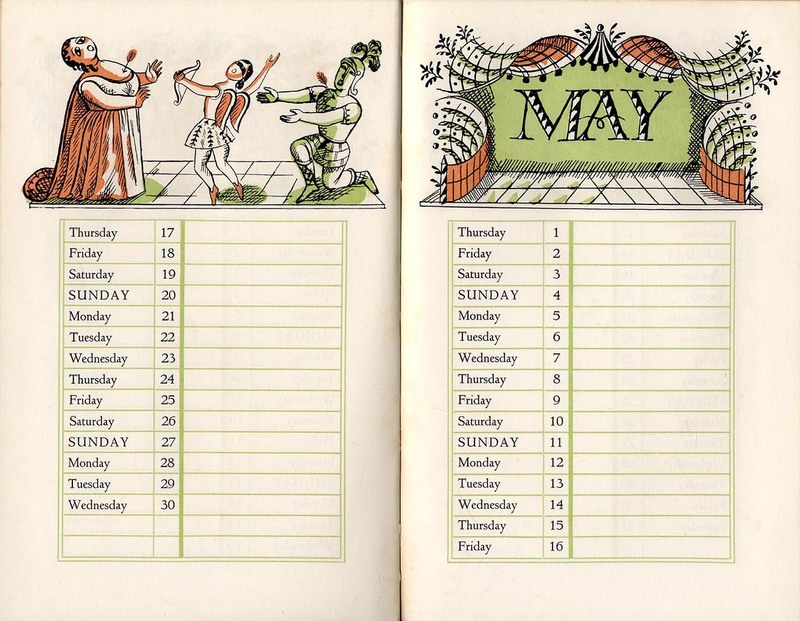 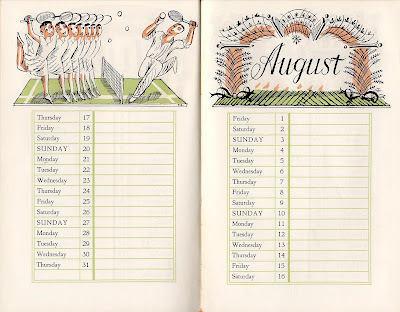 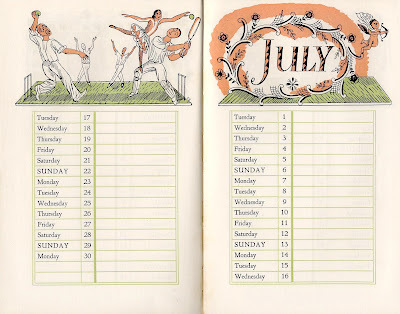 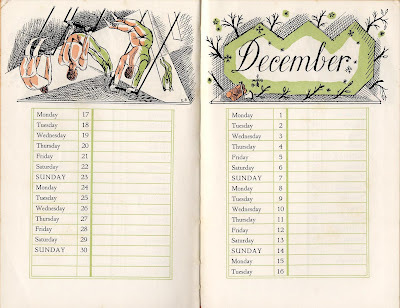 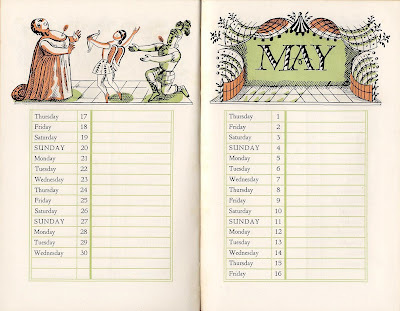 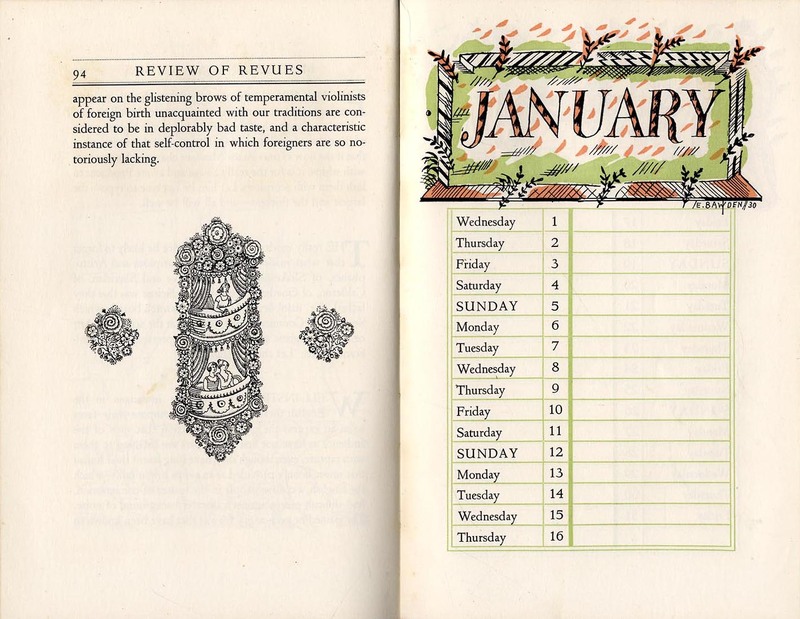 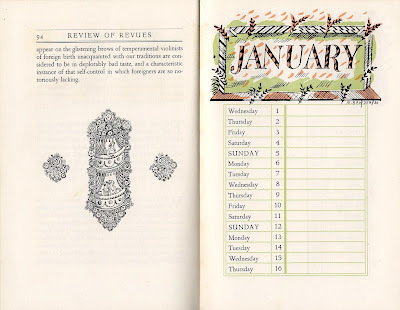 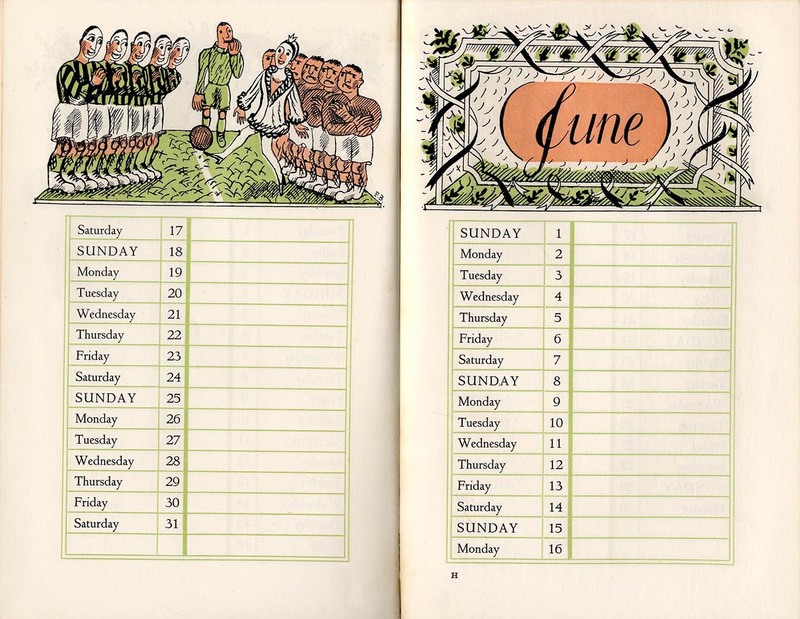 He originally designed the 12 month calendar for the book, The Review of Revues, by C.B. 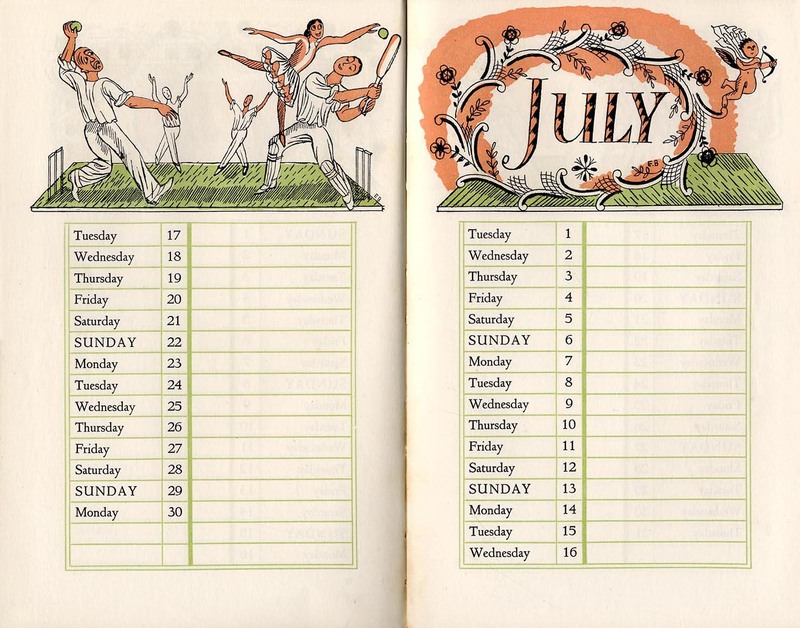 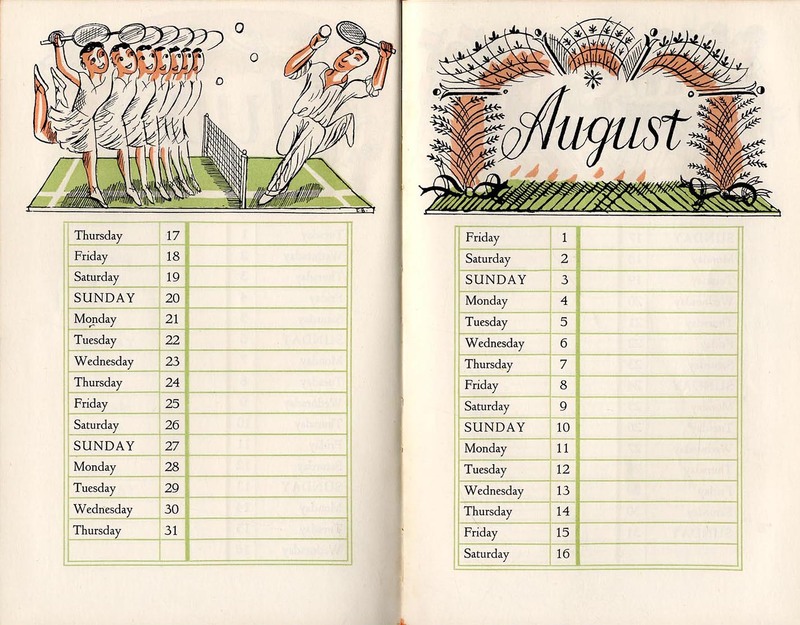 Cochran in 1930, with each month featuring a hand-lettered masthead and a beautiful 3-color illustration. 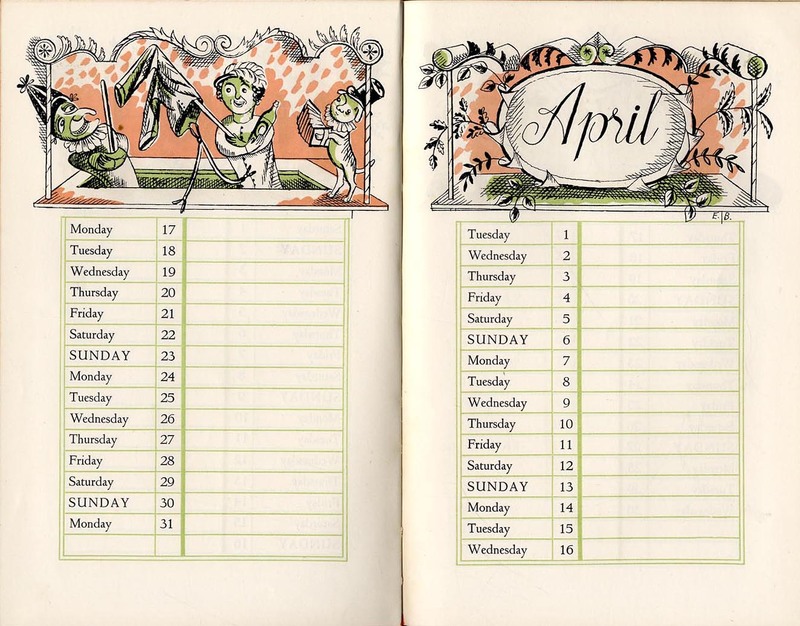 Suitable for printing (control + click on mac). Tip-o'-the-hat to Dr. Chris Mullen over at The Visual Telling of Stories for kindly providing these images. 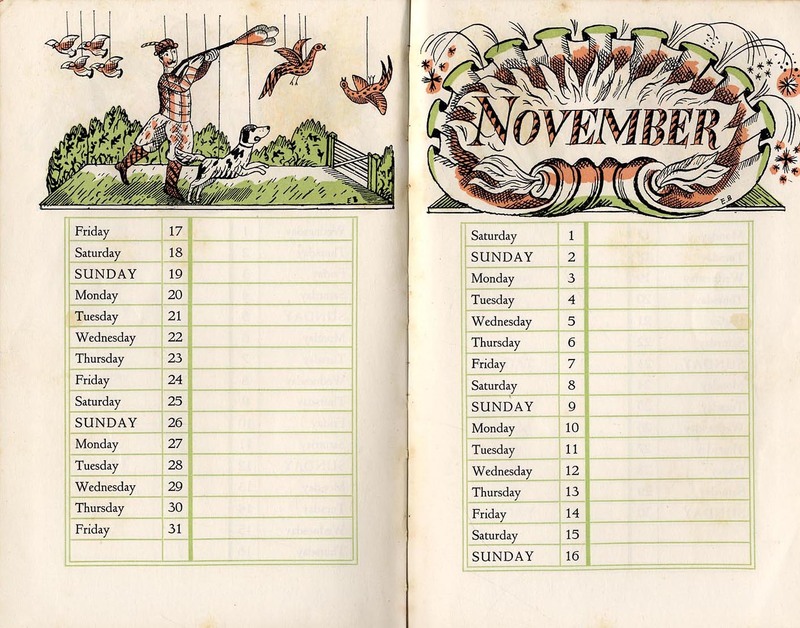 Please note: Calendar dates do not reflect 2012. 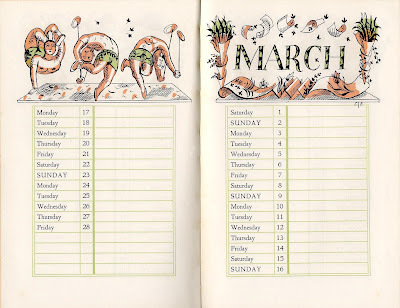 Welcome to Letterology, and thank you for dropping in! 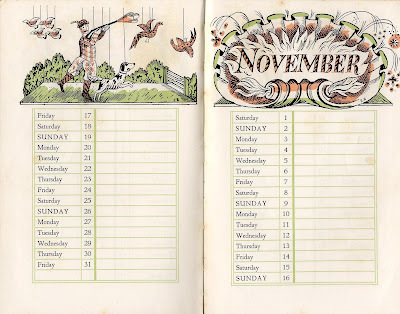 We're open all hours so please visit again soon.